"I'm loving my new Ibanez signature model guitar. Ibanez nailed the design　and layout to look just like my original green RGA, all the way down to　the white stripes on the body. The neck is silky smooth and plays like a　dream. This guitar shreds from top to bottom and I am proud to put my name　on it." Since their formation in 2003, August Burns Red, the local upstart from Lancaster, PA has evolved into one of the biggest names worldwide in the modern metal scene, continually growing and connecting fiercely with a colossal legion of fans. 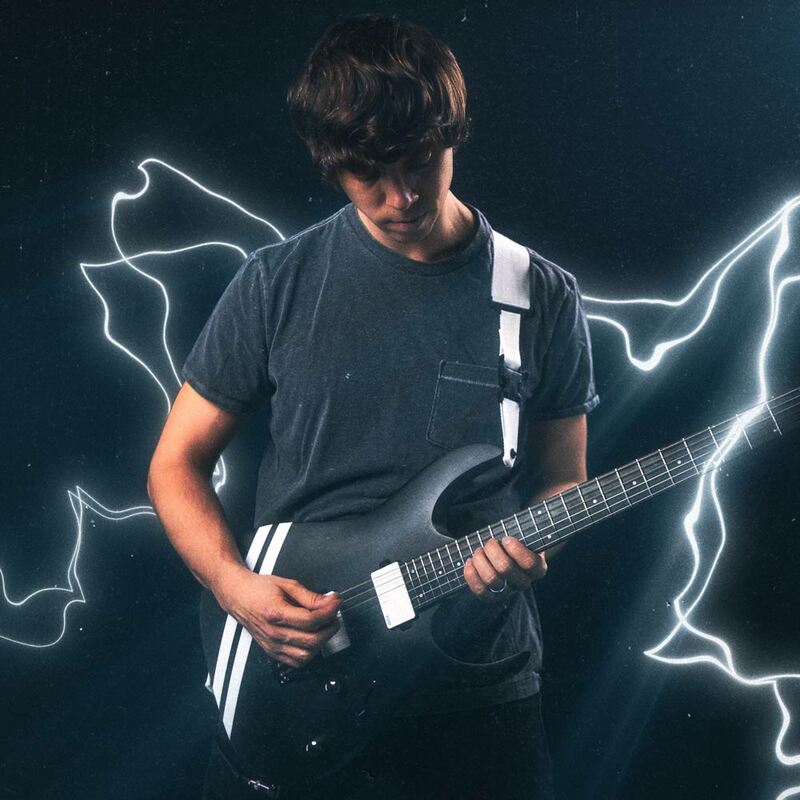 August Burns Red has spent years skillfully crafting a balance between a ferociously heavy sound with empowering lyrical content, while showcasing a rich surplus of inventive guitar riffs, blistering solos, and dynamic drumming. The band's impressive resume includes a solid collection of 7 albums, Thrill Seeker (2005), Messengers (2007), Constellations (2009), Leveler (2011), Rescue & Restore (2013), Found In Far Away Places (2015) and 2017’s Phantom Anthem. Found in Far Away Places, the group's seventh studio long-player, arrived in 2015 and featured the single "Identity” which earned the group a nomination for "Best Metal Performance" at the 2016 Grammy Awards. In July 2017, the band dropped the single "Invisible Enemy" in anticipation of the October release of their seventh full length album, "Phantom Anthem", and will embark on a supporting tour beginning in January 2018 with Born of Osiris, Erra, & Ocean Grove!